Dr. Butts was the premier royal physician at the court of King Henry VIII. He was an intellectual and a supporter of the Protestant religion and appears to have been a kindly and urbane man. He treated many of the prominent members of the court and the king’s family and was one of the few men that King Henry VIII esteemed and trusted. William was born c. 1485 in Norfolk, the son of John Butts, auditor of crown revenues and his wife Elizabeth. He received his education at Cambridge, achieving a Bachelor of Arts in 1507, a Masters of Arts in 1509 and became a medical doctor in 1518. Butts married Margaret Bacon of Cambridge about 1516. Together the couple had a daughter and three sons. Beginning in 1524, Butts took out a lease at St. Mary’s Hostel in Cambridge and began serving as physician for the nobility. From 1528, he was continually employed as physician at the court of King Henry VIII. The king paid him a salary of £100, roughly £40,000 in today’s money, and this was later increased by 40 marks. Some of his clients included Queen Anne Boleyn, Queen Jane Seymour, Cardinal Wolsey, Thomas Howard, Duke of Norfolk, Sir Thomas Lovell, and George Boleyn, Lord Rochford. He also served as physician for Princess Mary when she was sent to Ludlow to oversee the government of the Welsh. He was given a livery of green and blue damask for himself and two servants as well as cloth for an apothecary. His wife Margaret became a lady-in-waiting to the Princess. In 1528, during an outbreak of sweating sickness, Anne Boleyn became ill. Henry sent Butts to treat her at Hever Castle. Butts found that Anne and her father were sick but was able to report to the king that both had recovered. Henry appointed Butts as physician to his natural born son Henry Fitzroy, paying him an additional £20 for his services. In 1529, Butts took up residence in London. At Christmas 1529, Henry’s principal minister, Cardinal Thomas Wolsey fell seriously ill. He had always suffered from ill health but this was around the time of his downfall from favor with the king. The king was still gracious enough to send Dr. Butts to Wolsey for treatment and told the doctor not to accept a fee from Wolsey. Butts informed the king that Wolsey’s illness was partially psychological due to the strain he was under and made an effort to reconcile Henry to Wolsey. Princess Mary’s household had been disbanded after the birth of Princess Elizabeth to Anne Boleyn. She was no longer to call herself Princess and was known as the Lady Mary. She was forced to live with her new half-sister under the guardianship of Lady Anne Shelton, aunt of Anne Boleyn. Several weeks before Mary’s nineteenth birthday, she became seriously ill. She lived in an atmosphere of severe strain under Lady Shelton’s care. Mary complained of headaches and indigestion and was basically prostrate. Lady Shelton called in an unfamiliar apothecary who prescribed pills which made Mary’s condition worse. This may have been an allergic reaction to the medicine or Mary could have had a psychosomatic response. With no one wanting to be blamed for her death, there was a reluctance for anyone, Imperial or royal to treat her. 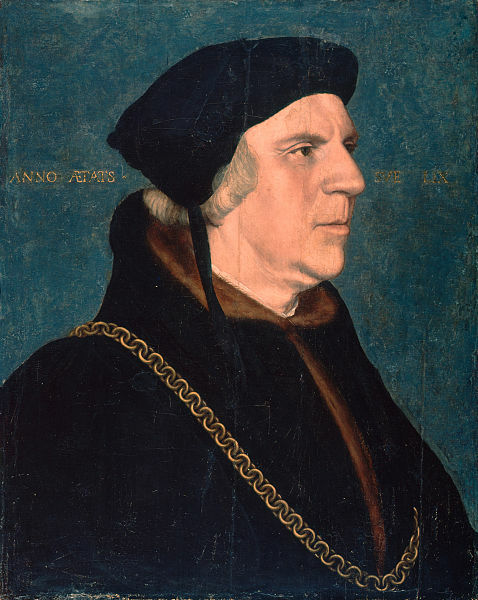 The Imperial ambassador Eustace Chapuys eventually got through to the King’s secretary Thomas Cromwell and he agreed to send Dr. Butts to see Mary. Dr. Butts advised the king that Mary was under great anxiety and pressure in her position in the household. Her condition was not incurable but with careful and diligent treatment and improved living conditions, she would get better. He also told Lady Shelton she risked being accused of poisoning Mary, terrifying her and making her more careful in her treatment of Mary. Butts countered the rumors at court that Mary was incurably ill and eventually Katherine of Aragon’s physician treated her. Starting in 1536, Dr. Butts treated King Henry’s chronically ulcerated leg. After the disastrous marriage to Anne of Cleves in 1540, Henry consulted Butts regarding his inability to consummate the marriage. The doctor reassured Henry he was not impotent and the fault lay with Anne who was unable “to excite and provoke any lust in him”. Henry told Butts he had nocturnal wet dreams and Butts spread the story to quiet any rumors that Henry was impotent. Butts served as physician to Prince Edward. In October of 1541, the Prince became ill with a quartan fever which is a form of malaria. For about ten days, Edward was prostrate and it was believed he would not survive. King Henry was distraught and sent Dr. Butts to treat the Prince. Butts was tenacious and exacting in visiting Edward and forced him to take broths and soup when Edward really wanted meat. Edward became exasperated with the doctor and asked him to leave. Butts considered this a good sign that Edward was recovering and departed. Dr. Butts’ religious views were decidedly reformist. He was in a unique position because of his regular and intimate contact with the king and because the king trusted him. He would use this advantage to aid his friends and foster the cause of religious reform. When the monks of Syon Abbey were imprisoned for denying the Royal Supremacy, Butts tried to convert them. He promoted for advancement the ecclesiastics Hugh Latimer, Thomas Thirlby and Sir John Cheke who became the tutor to Prince Edward. On several occasions, Butts intervened on behalf of Thomas Cranmer, obtaining the grant of a Nottinghamshire abbey for him and aiding him in uncovering the Prebendaries Plot which was instigated against him in 1543. Conservatives tried to denounce Cranmer and accused him of being a heretic. Later, in November 1543, the conservatives on the king’s council believed they had the authority to arrest Cranmer and were on the verge of doing so when Dr. Butts informed King Henry what was happening. Henry was incensed when Butts told him Cranmer was forced to wait outside the council chamber in humiliation until his enemies were ready to seize him. The king saved the Archbishop by giving him his full support. A reformist curate of Chartham named Richard Turner was attacking Papists in Kent and there were some men around the king who portrayed him as a rebel-rouser in a conservative effort to once again attack the reputation of the Archbishop of Canterbury. Dr. Butts received a letter from Cranmer’s secretary Ralph Morice, asking him to approach the king on Turner’s behalf. Dr. Butts waited for just the right moment. One day, the physician was washing and trimming the king’s beard and Butts found the king in just the right mood. Pleasantly and merrily, he introduced the topic of Turner and how urgent it was. The king commanded Butts to produce Morice’s letter and even asked him to read it twice. After considering the matter for a short time, he changed his mind. Instead of whipping Turner out of the country, the king halted all action against him. Butts’ name was entered into the books of Cambridge with high praise. The phrase, translated from Latin reads: a man “of serious, exceptional knowledge of letters, of individual judgement, of the greatest experience and a doctor of careful planning”. In the later years of King Henry VIII, he had great influence at court. Through his patronage, Hans Holbein the Younger received a commission to paint the portrait of Henry presenting a charter the Barber Surgeons Company of London. The painting was never completed. Many approached the doctor to put forward their suits with the king. During his final years, Henry VIII mostly confided in Cranmer, his fool Will Somers and his dependable and trustworthy physician. Dr. Butts died on November 22, 1545 at Fulham Manor, Middlesex after enduring a double quartan fever. King Henry was grief stricken by his death and he was replaced by Dr. Thomas Wendy. Butts was buried at Fulham church. The tomb and brass were destroyed but a slab with verses by Sir John Cheke was inserted into the wall of the tower by a descendant of the doctor in 1627. I find it interesting that Dr. Butts stayed in favor after the death of Henry Fitzroy. Thank you so much for this article! Dr. Butts really seemed to be wise and skilled in his craft. As a gifted man it seems Dr. Butts wore many hats, physician,psychologist and negotiator. He especially was a survivor at Henry VIII’s discretion if something went wrong. Dr. Butts certainly fared better than Eliazbeth I ‘s esteemed Jewish physician Roderigo Lopez who she had hanged, drawn and quartered on trumped up charges. It really is amazing that this physician stayed on the good side of Henry for a whole lifetime, especially given the state of medical knowledge at the time. He must have had a great bedside manner. Very interesting post! Really great post, thanks. I barely knew anything about this Dr. How clever he was to perpetually remain in Henry’s favour!! I always enjoy your writing.Clear and easy to read. Very nice article. I enjoyed it and give credit to Dr. Butts for hanging in there, especially during Henry’s awful year of 1536. Very interesting and informative, i have heard of Dr. Butts before but never this much detail. I enjoyed the article and the portraits very much. Thank you. Butts married Margaret Bacon of Cambridgeshire, and left three sons, Sir William; Thomas, and Edmund. 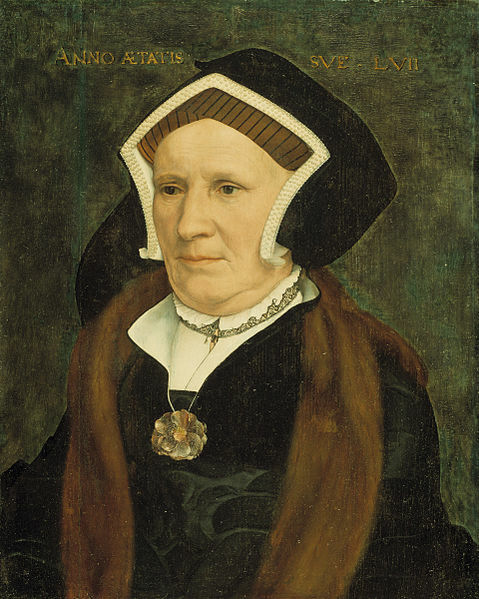 The sons were married respectively to Joan, Bridget and Anne, daughters of Robert De Bures, Esq. of Aketon and his wife Anne, the sister of Sir William Waldegrave of Smallbridge. Only Edmund and Anne had surviving issue, a daughter, who married in 1564 Sir Nicholas Bacon, the eldest son of Sir Nicholas (1510 – 1579), keeper of the great seal. The doctor acted mainly as a psychiatrist in the toxic environment that was Henri VIII’s court. I can only imagine the stress everyone was under and the psychosomatic diseases that resulted from it. Trust you to give us the stories about the people BEHIND the big guns! I often read that “Dr. Butts did or said such-and-thus”. He pops up often in research about Henry VIII, but only in passing statements. An astute man, he was one of the few who knew how to handle Henry, especially in those mercurial final years. He would probably have fared well under Edward VI, but — Mary — ??? Loved the tie-in with Holbein! Such a remarkable artist in a time when realism was just coming into the Renaissance! I can look & look at his pieces. So seemingly simple, yet so incredibly complex! Excellent post. Nice to see something original.